For as long as I can remember the mud terrain has had the same basic pattern, with a slight change to the lug design a few years ago being the only alteration I know of in my lifetime. I'm now in a position to guage everyday performance and logevity of the new pattern, as we've just had them fitted to one of the works vehicles. 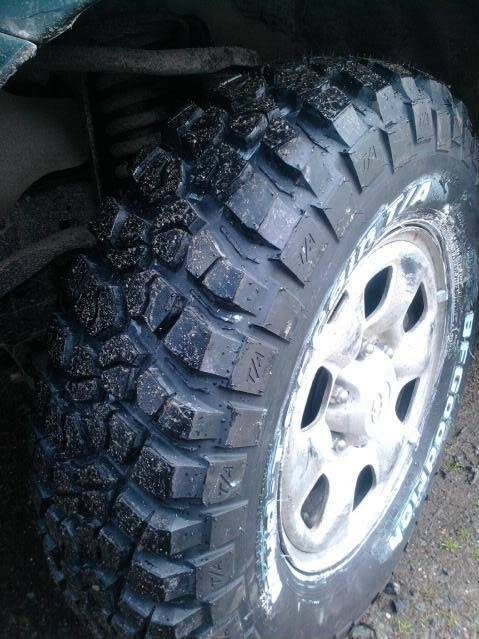 They look like a cross between the goodyear wrangler MTR and the pit bull muds! I'm led to believe BFG changed the design in attempt to reduce road noise, but can confirm that IF this is true, they failed!!! As for performance, time will tell! 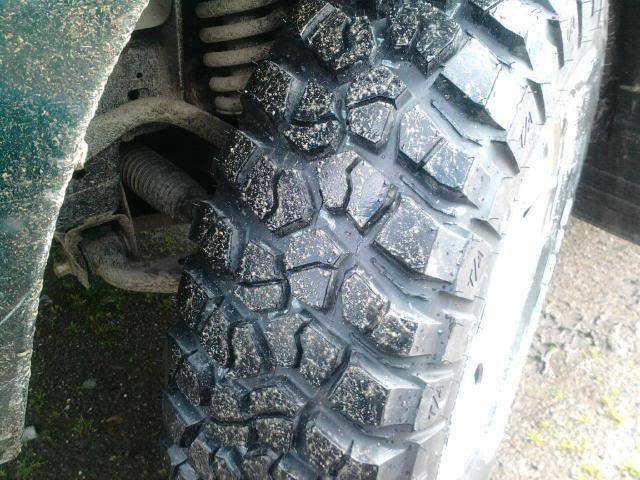 hi ross, ay they do look good, though its pretty much the same tyre as there bfg krawler, which is intended for serious offroad use, devon 4x4 sell them on ther website though a 35inch tyre is £228 for 1 , but the strange thing is, there illegal to use on the road as there not EU regulated or some tosh, so why copy a tyre that you cant use on the road? lol. i no there slightly different but not alot, maybe bfg are guna stick with there pride and make a good tyre rather than compromise with a lesser tyre and stuff the folk with the noise readers!! . but they will be good if not very good. Any further forward with a set for your 90? BFGoodrich has launched the second generation of its celebrated 4x4 off-road tyre, the Mud Terrain T/AKM2, in Europe. 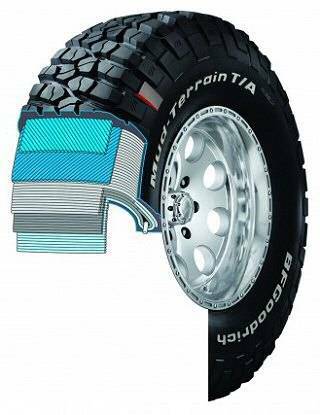 The new tyre is replacing the BFGoodrich Mud Terrain T/AKM, which is both the market leader in the off-road category and the spearhead of the BFGoodrich brand in Europe. During the design phase, engineers focused on producing a tyre capable of overcoming all obstacles on harsh, uneven, muddy and rocky surfaces, which is why robustness was their top priority. To ensure exceptional strength and endurance, three technologies have been incorporated into the BFGoodrich Mud Terrain T/AKM2 – aggressive sidewall lugs, cut and chip-resistant sidewall compounds, and stronger sidewall cords. These three technical features have already proven their effectiveness on the most successful tyre in the history of extreme, off-road racing, the BFGoodrich Krawler TEK. The sidewall cords of the BFGoodrich Mud Terrain T/AKM2 are up to 33% stronger than those of the previous-generation tyre. The TriGard 3-ply casing also has stronger cords that significantly improve sidewall damage resistance. The tyre features thick lugs on the shoulders that extend onto the sidewalls. These provide the dual benefit of superior grip and enhanced protection and the new cut and chip-resistant rubber compound greatly reduces the risk of tears caused by sharp rocks. Delivering enhanced strength, damage resistance and grip, the new BFGoodrich Mud Terrain T/AKM2 provides off-road drivers with outstanding performance regardless of surface conditions. It will be available in16 sizes in 15, 16 and 17 inch diameters for tyre widths from 215 to 305 mm, in 85 to 70 series aspect ratios and with a Q speed symbol. The M+S marking on the sidewalls indicates that the tyre has been approved for use in mud and snow. oooo, o well i spose we will find out before long what like they are, no im no further forward with the tyres and the ones on it are appaling! nearly finished it now though, just front bumper and weld up a small hole in chassis. how was spain? you picked a good week weather here wasnt great. and im guessing that sunday you were off clay pigeon shooting with the benellies? Aye and the Benelli was put to the test yesterday, and I have to say I'm very pleased!! the peugeot flew through the mot 2day, used to be £45 but i see its £54 now. whats happening with the disco? or your 90 engine swap? Disco is being donated to the fire service so they can practice using the cutting equipment they use in RTA's, the engine is sitting on a pallet patiently waiting for me to get a new clutch, oil cooler pipes, intercooler and radiator hoses, modified Exhaust downpipe and a new filter and oil before being fitted.